PayPal today announced a new product aimed to make it easier, cheaper and more secure for businesses to accept online payments, meaning that shoppers can now be more confident about handing their money over online. Website Payments Pro is made up of three functions: express checkout, direct payment and virtual terminal. Together they let businesses offer shoppers more choice in how they pay for items - with their credit or debit cards through PayPal; directly through their websites; or by phone, fax or mail. Payment details are entered on the online shopping site, but the payment is processed by PayPal. This means the customer won't have to go through several web pages in order to make a purchase. The new service also makes online shopping faster, as consumers don't have to re-enter billing or delivery information every time they make a purchase. Instead, the customer's information is sent straight from the website to PayPal where all the relevant information is stored. 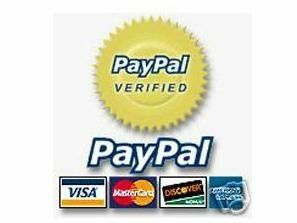 PayPal express checkout works with any major credit or debit card, bank funding or PayPal balance. It allows firms to accept orders placed via phone, fax and mail as well. Merchants use an online interface to manually enter card details, which are then sent to and processed by PayPal. Carl-Olav Scheible, general manager of merchant services at PayPal, said: "Website payments pro provides a complete payment solution. Merchants can now give their customers the choice of paying by debit, credit and balance via PayPal or directly on their websites, while allowing payment to be taken via phone, fax, and mail."